The innovative virtual drum instrument featuring an Intelligent Sampling Engine. Perfect Drums gives you some of the best drum samples on the market. Recorded in a professional studio by experienced engineers, they are made to sit perfectly in the mix, giving the instant punch, depth and fatness to your tracks. The ultimate fully-featured sampler, enabling you to create unique multi-sampled drum instruments incorporating: full control over different articulations, microphone groups, dynamic layers and every single audio sample in a quick and easy way. Incredible mixing flexibility and capabilities: comprehensive metering, instrument level, pan & phase controls, parallel processing groups, fully configurable mix routings, including internal auxiliary busses and multiple outputs. Using Slate Digital TRIGGER? We got you covered! 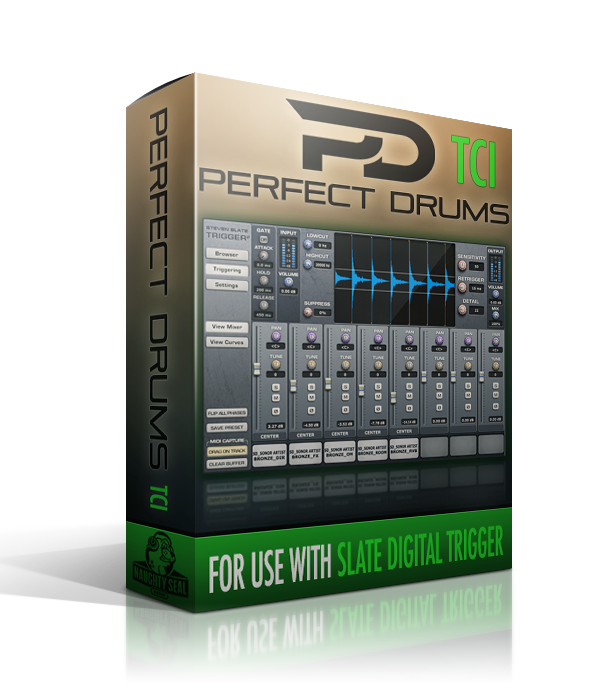 To get the Perfect Drums TCI pack please proceed to the PURCHASE page.